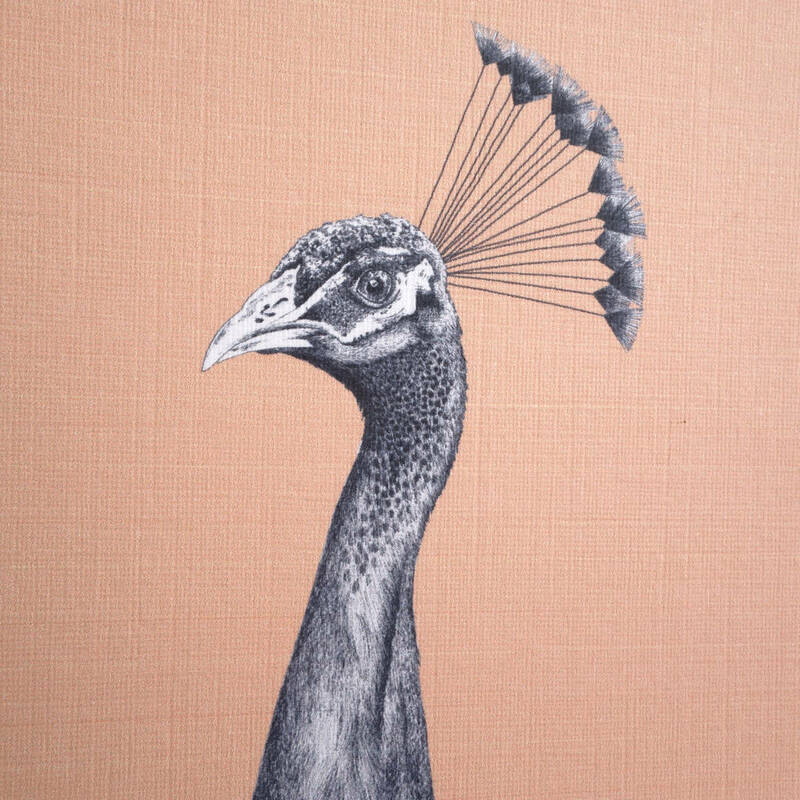 ' The Grandiose Peahen ' has been hand drawn by artist Kate Daniels and made into a gorgeous illustrated print. 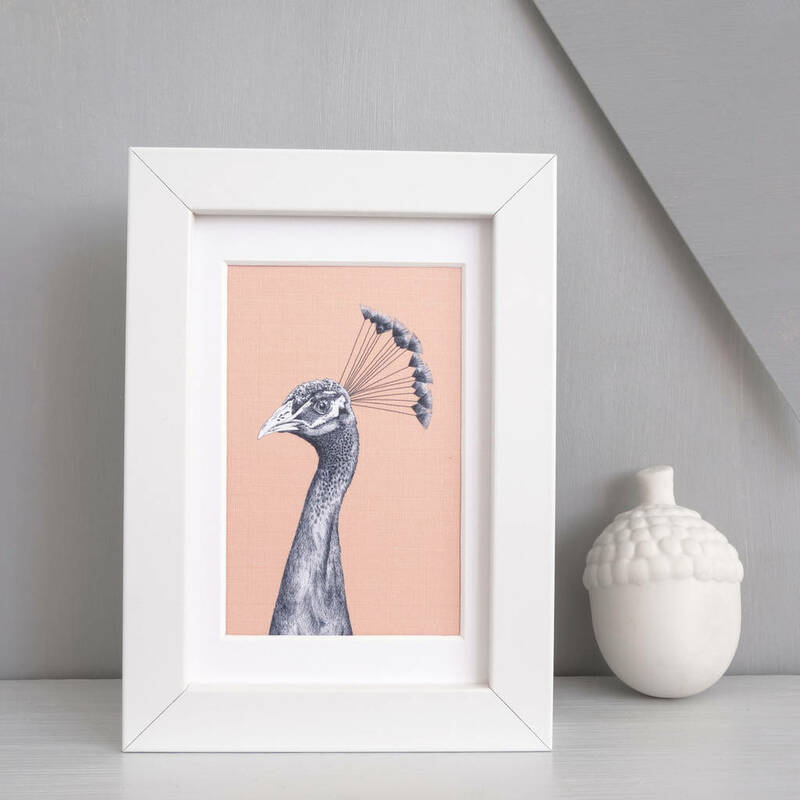 These beautiful creatures are forest birds by nature, known for being fearless, the female Peahen displays an eye catching plumage on top of her head which has been captured in all its glory in our detailed illustration. 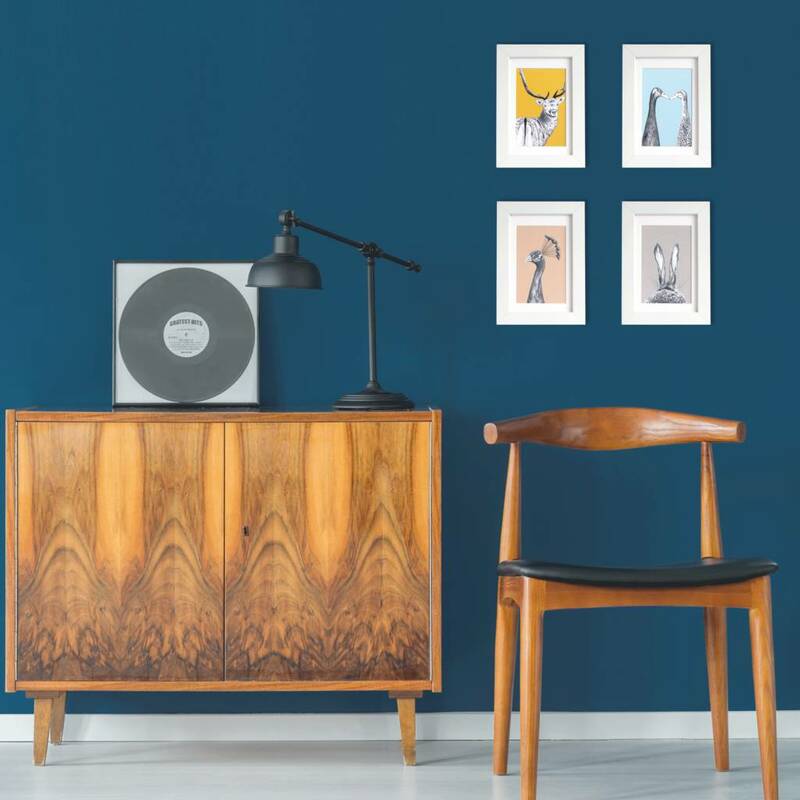 Our framed artworks make fantastic gifts that look beautiful on their own or together as a collection. Four different prints are available in two different sizes. 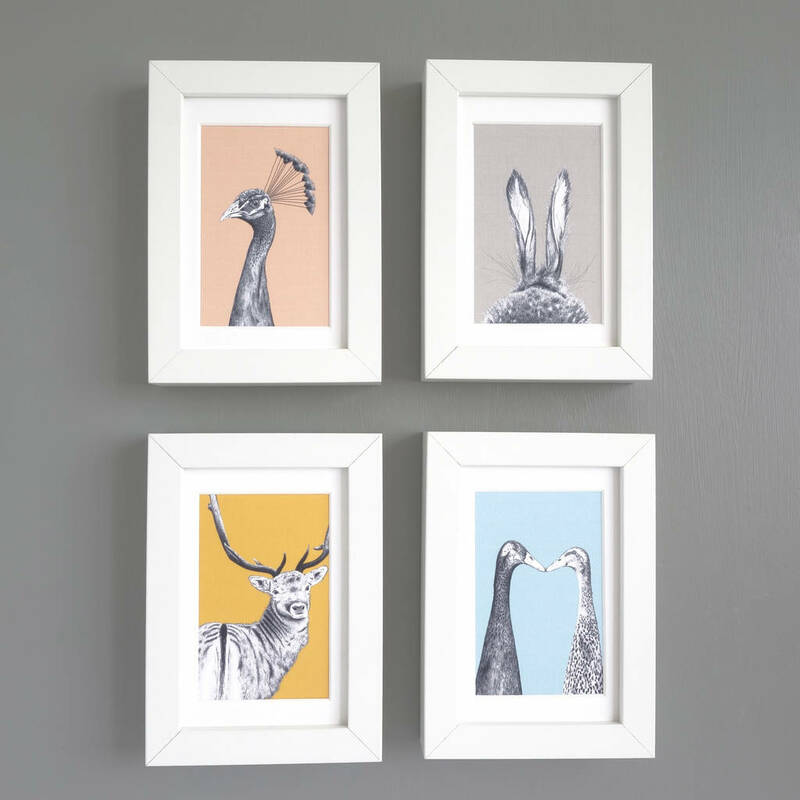 The range includes ' The Stag Watcher ', ' The Runners Number One ' and ' The Devoted Ducks '. Each print comes framed and gift wrapped ready for your lucky recipient . . . . or as a lovely gift for yourself! 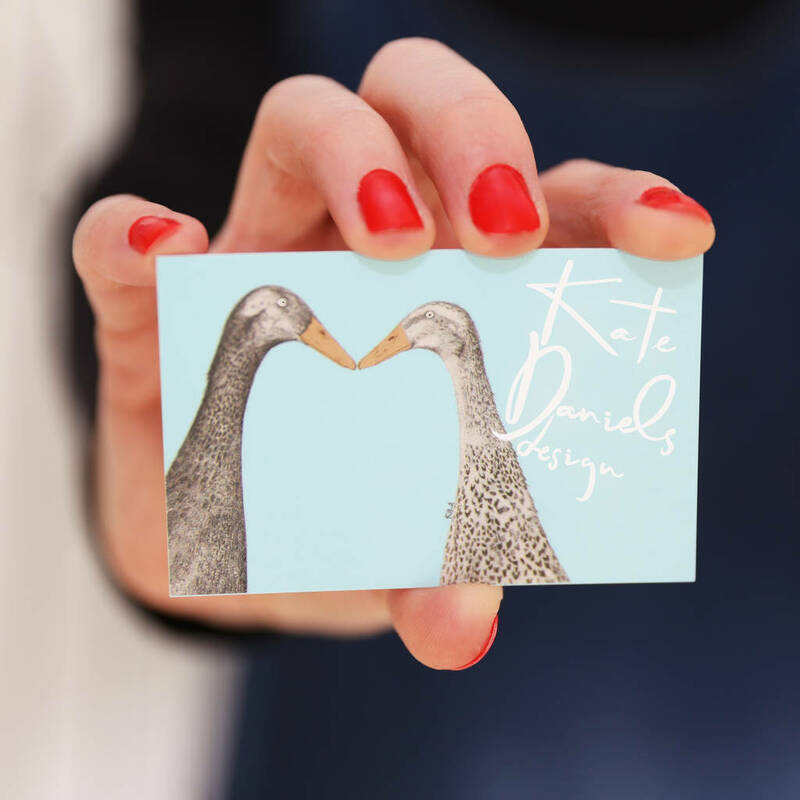 Archival quality inks printed onto 300gsm acid free, archival textured card.